An aromatic apothecary offering a fresh twist on the tradition of aromatherapy. Originally, apothecaries created custom blends with each person’s unique needs in mind. Behind the counter was someone who could custom-blend the right compound for you. The Oil Jar is similar. We create quality aromatherapy blends for you and your well-being. In addition to our commitment to quality products, education is a significant piece of our mission here at The Oil Jar. We offer individual consultations and a variety of workshops to help you get comfortable with using essential oils in your daily life. Whether a novice or seasoned in oils, we have something for everyone. 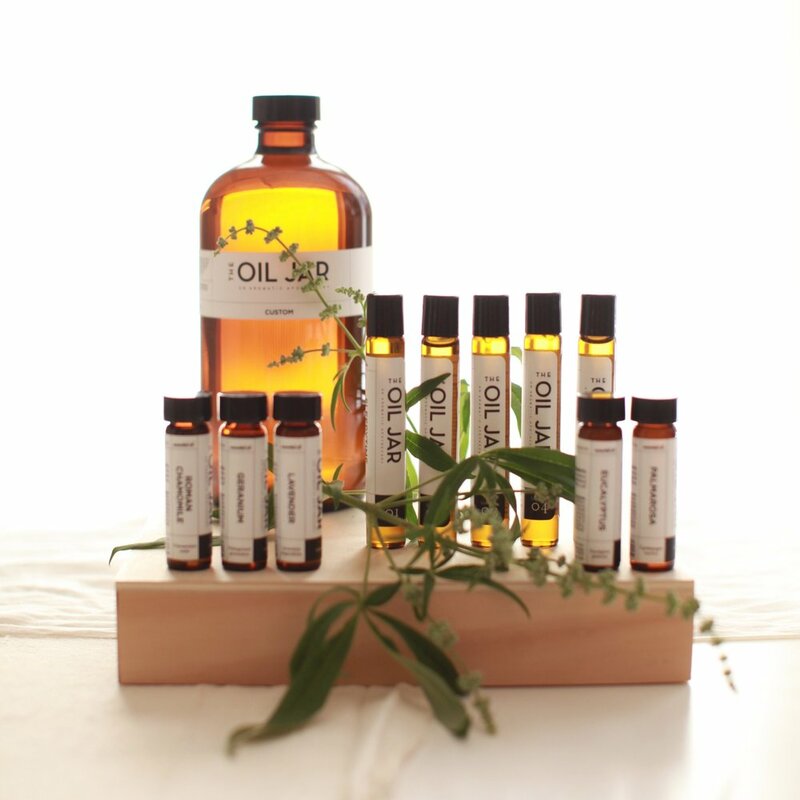 At The Oil Jar, you’ll find quality products blended by a certified aromatherapist. You can trust that every essential oil is organic and either ethically farmed or wildcrafted. So come get to know us. We hope you’ll enjoy learning about the oils, what makes them tick, and what they can do for you. WELL BEING. QUALITY. EDUCATION. CUSTOMIZATION. Take a peek at our signature and custom oil blends, created with your health and wellness in mind.